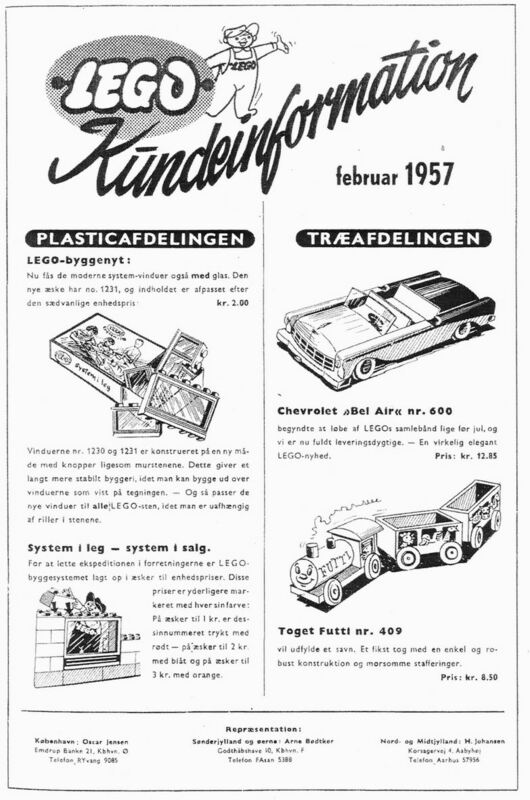 In January 1954 Godtfred attended the London Toy Fair. On the ferry across the North Sea he began a discussion with Troels Petersen, the toy buyer from Magasin du Nord, the largest department store in Copenhagen. The buyer lamented the fact that all toys seemed to be one-off items and that there was no cohesive toy system available. Once back home in Billund, Godtfred began to give this idea serious thought. He drew up a list of attributes he thought a toy system should have and began to review his own products for a possible candidate. The result was the now classic Principles of Play. 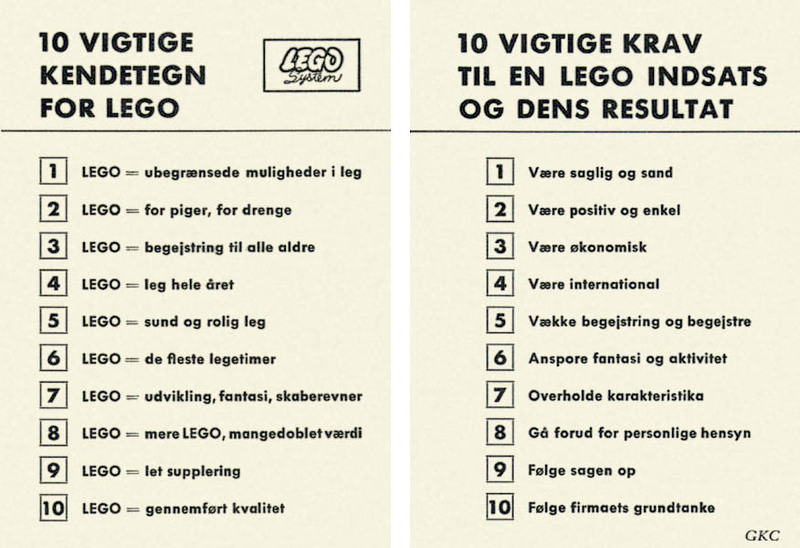 These principles were issued to every Lego employee in 1962 and still stand as the core principles of the company. 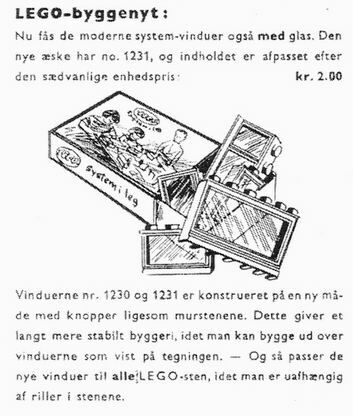 Godtfred reviewed the company’s current designs (at the time over 200 different wooden and plastic toys were on their price list) and finally decided that the Lego Mursten showed the most promise for expanding into a true system. He organized the exsisting Lego Mursten sets and modeled new designs around a single, common theme — a townscape or street scene. 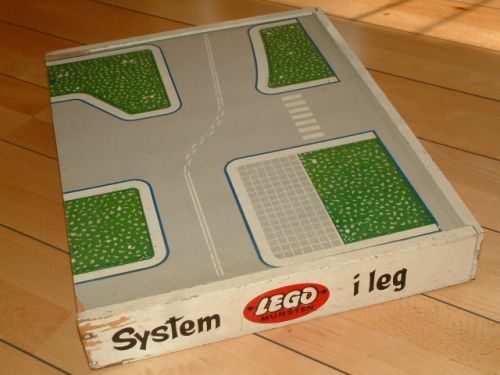 After nearly a year of development the result was the Lego Mursten System i Leg (System of Play). 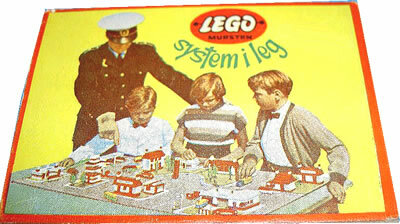 The System i Leg (System of Play) was unveiled at the Nürnburg Toy Fair in February 1955 but the reaction was less than positive. One buyer even said that “the product has nothing at all to offer the German toy market.” Even some Danish retailers were skeptical, but the buyer from Magasin Du Nord, whom Godtfred had talked to 13 months earlier, was excited about the system and even set up a special ground-floor display for its Danish launch. 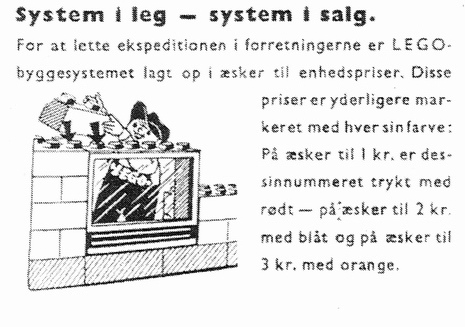 The System i Leg was well received in Denmark and sales in 1956 nearly doubled. The system allowed children to not only to build architectural models, which had always been featured in Lego catalogs, but added play value with a completely new series of cars, trucks, and street signs. Godtfred also hoped that the system would have some educational value, such as allowing children to learn the rules of traffic safety. With the System of Play now established Lego began to produce larger architectural sets; models of specific buildings that were intended for the Town Plan. Most of these sets featured the new HO scale accessories and vehicles. In 1956 they released the Esso Station (1310/310) and in 1957 the VW Showroom (1307/307), Fire Station (1308/308) and, of course, a Church (1309/309). 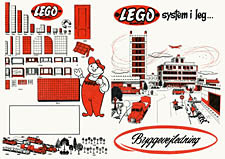 In Denmark, and later Scandinavia and Germany, each component of the Town Plan was sold as a separate set or accessory pack. It was perfect marketing; parents could always buy a new, relatively inexpensive set to add to their children’s collection. But, as Lego continued to expand into new European countries, this marketing was also created distribution headaches; there were simply too many small sets to manage. 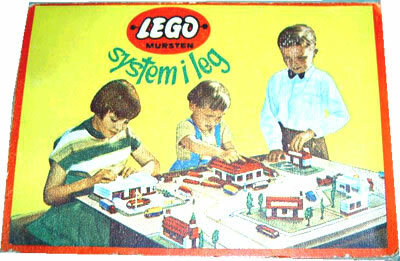 In 1957 Lego also released the first of the 700 Wood box sets. These large sets, containing several hundred elements including many of the HO scale accessories, were packaged in wood boxes and in may cases included a fiberboard version of the Town Plan as a lid. 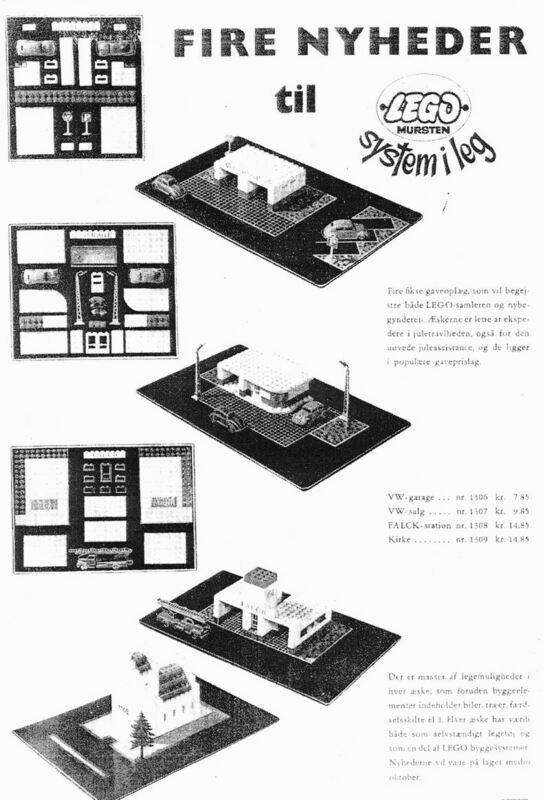 It was also a convenient way to sell the System i Leg in a single, albeit expensive, version. Look at a big size format of this catalogue! 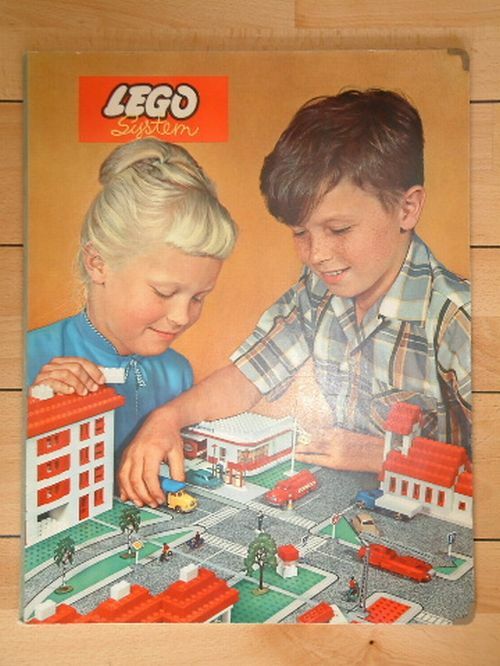 When Lego began sales in the UK and North America in the early 1960’s the Town Plan was offered only as a single large set: the 810 Town Plan or the 725 Town Plan. These were packaged, not in wood boxes, but in large cardboard boxes, with cardboard town plans, and included all of the components necessary for a complete Town Plan. These large sets represented the last of the Town Plan and the System of Play. 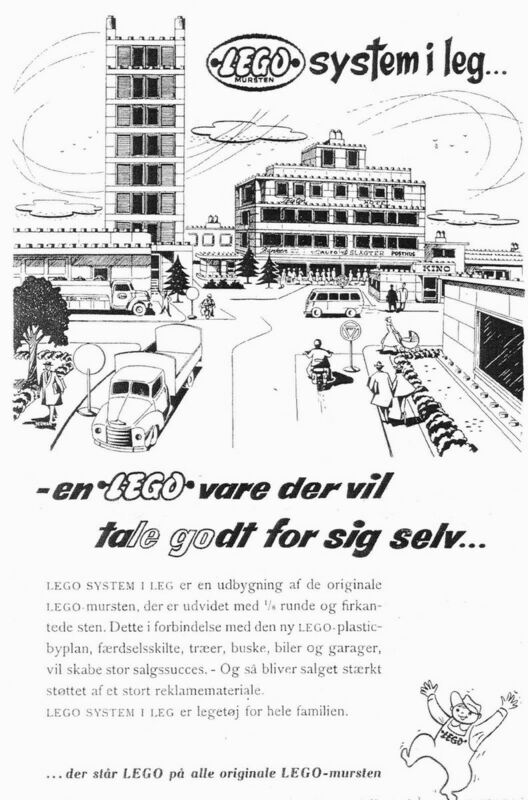 By the early 1960’s new Lego System elements, such as the wheel and, later, the motor, signaled a new type of construction that would be the future of the company. By 1966 the Town Plan sets were discontinued and in 1970 the 1:87 vehicles, the last remaining Town Plan component, was discontinued. Architectural toys date back to the 1800’s and have an especially rich history. By the mid 1950’s there were dozens of manufacturers: American Bricks, Bayko, Kiddicraft, Lincoln Logs, and Minibrix, to name just a few. But none of these toys formed a system. This potential of the brick as the basis of a fully integrated system was an idea that only Godtfred and Ole had fully grasped. 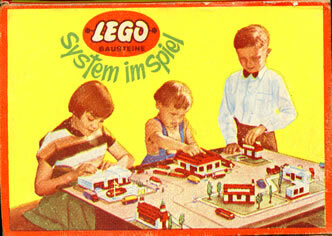 The System of Play clearly separated Lego from the many other similar toys and stands as the company's first important innovation.